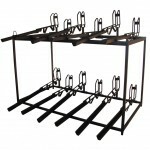 Condo Double Decker | Does your Bike Room look like this? 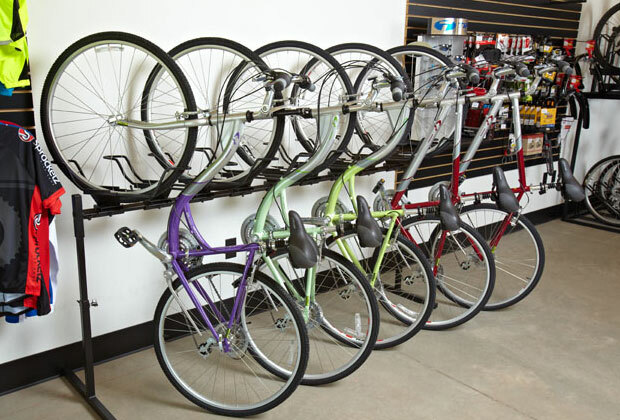 16 bikes stored flat on the ground would take up at least 160 Square Feet of space. When you use the Condo Double Decker, you are saving a total of 115 Square Feet of Space! How much is 115 square feet worth to you? 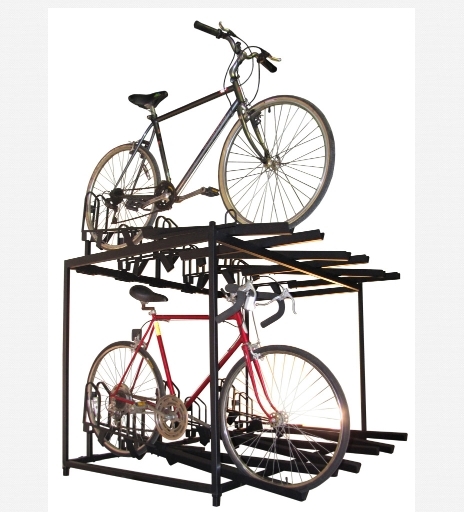 The Condo Double Decker is a high density rack. Each bike is offset so that the pedals and handlebars don’t hit each other. 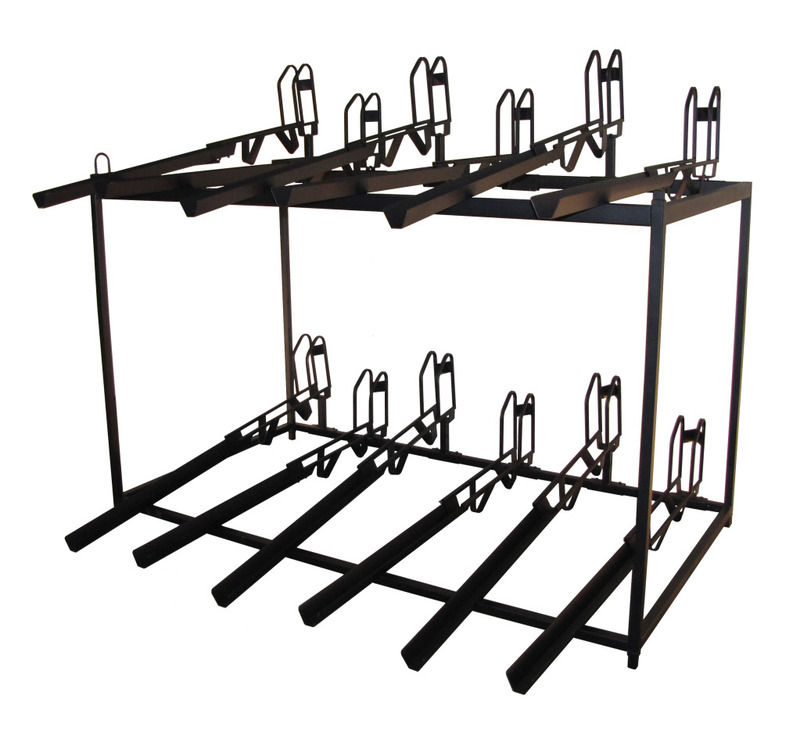 Additionally, the front of each “tray” is not attached to the rack, allowing it to pivot. 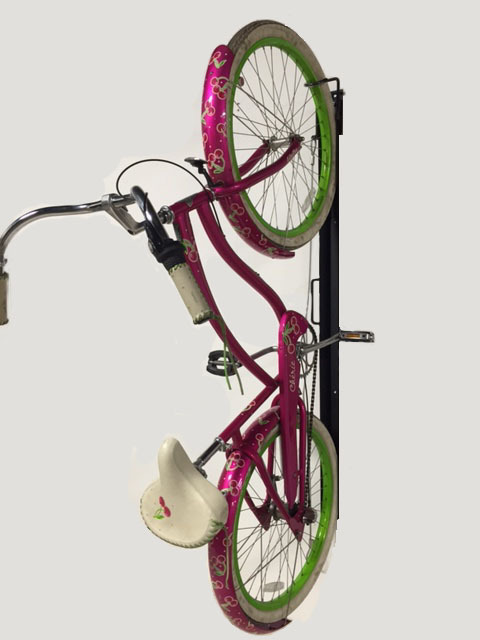 This creates easy access to any bike on the rack.